« One Stamp, Two styles, Part One, plus a freebie. I am using a wonderful base called Poptones Razzleberry. 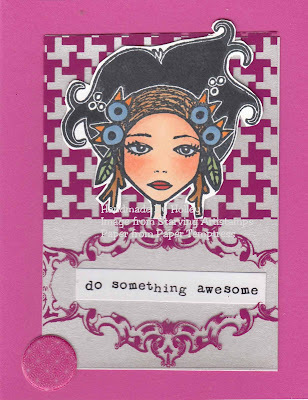 I added a wonderful silver paper then I used a Hambly Screen Overlay called Magenta Vintage Patchwork. I recommend getting the 6×6″ cut packs that are just perfect for card making and give a wonderful variety.